As a woman, your wardrobe can’t be complete without a trendy fleece jacket. Nothing beats a fleece when it comes to fashionably warm outerwear. These jackets are lightweight, with great warmth-to-size ratio; they can keep you comfortable whether you’re going on an early morning run, leisure nighttime walk around town, ski getaway, or any other outdoor adventure. Besides being lightweight and cozy, fleece jackets are also made from modern materials, giving them contemporary look that helps you trot around stylishly on your travels. This also makes them an excellent alternative to wool jackets. Fleece will keep you warm even when it gets wet or damp, something you that wool simply can’t do. 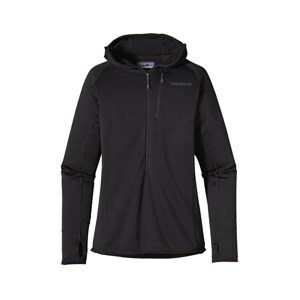 Women’s fleece jackets are available in a variety of brands, styles, and sizes to suit different needs and preferences. Looking for a fleece for your male travel buddy? Check out our guide to the best men’s fleece jackets! Choosing a fleece jacket can be an uphill task given the vast selection that’s available on the market today. Moreover, the quality is normally wanting for many brands. There are important factors to consider to ensure you get the right jacket for your needs including size, weight, warmth, and ease of packing when travelling. You want a fleece jacket that will not only keep you cozy, but that will also fit conveniently in your bag or suitcase. To help you choose the right jacket for your needs, we’ve compiled a list of the top women’s fleece jackets ranging between everything from the most affordable to the most versatile. 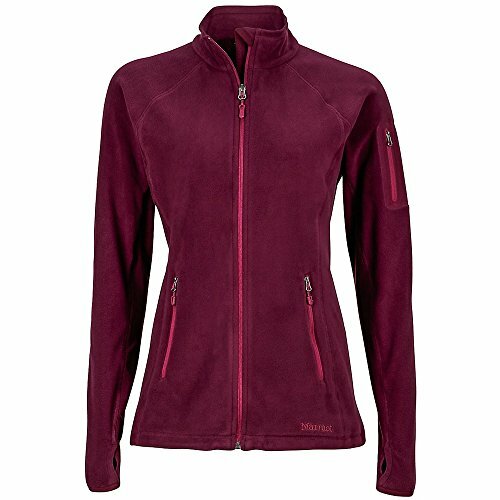 If you’re looking for a modest and inexpensive fleece jacket that will keep you warm on cold nights, you might want to consider the REI Co-op Women’s Fleece. This fleece is about four times cheaper than most high-end fleece jackets available on the market. You should realize, however, that you’ll always get what you pay for. As such, you shouldn’t expect much from the REI Co-op Fleece regarding design and technology. Even so, it’s got a few features to ensure it can serve you for a long time. Namely, the jacket sports a polyester fleece fabric with front-to-back softness and anti-pill finish that delivers long-lasting comfort. 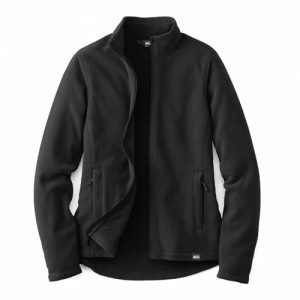 The fleece also comes with zippered hand pockets where you can keep some of your personal effects. But unlike higher-end models, the polyester fleece on this coat has little venting and performs poorly in terms of breathability. For active travellers, the REI Co-op Fleece isn’t necessarily your best option. Nevertheless, if you’re looking for something to drop in under budget, this fleece makes an excellent choice for things like keeping yourself warm at the peak when you go mountain climbing. On the other hand, keep in mind that the REI Co-op fleece is quite bulky, and may take up a substantial amount of space in your bag. Overall, REI Co-op is a viable choice of fleece jacket for enduring the rigours of camping and working outdoors during cold weathers. You won’t have to worry about damaging it, as much as you would with the more expensive fleeces. If you’re looking for something to wear under your shell on chilly days, you can’t go wrong with The North Face Women’s Osito 2. 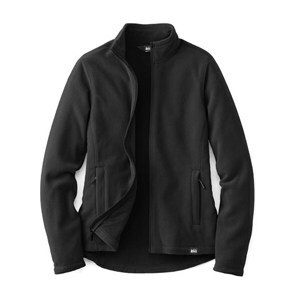 This fleece jacket is warm and excellent for layering during colder spring & fall days. Featuring a tailored waist, oversize collar and comfy stretch cuffs, the Osito 2 is a top jacket for cool-weather hikes and walks. 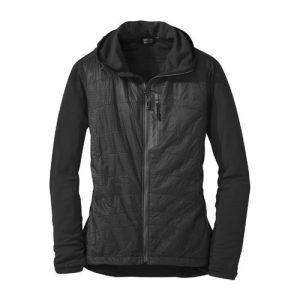 Besides having a soft and comfortable hi-loft fleece, this jacket also retains a lot of heat for its weight. Thanks to its voluminous cut, you can wear the Osito 2 over a base layer. It also fits snugly over your winter jacket without leaving you feeling too confined. 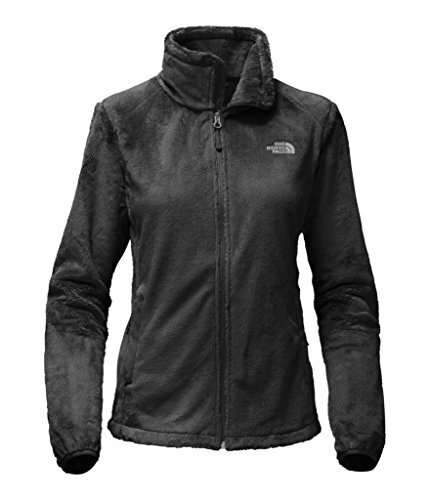 If you’re looking for something breathable, however, then The North Face Women’s Osito 2 isn’t the best option. This jacket is designed to trap your body heat. During intense activities like hiking, expect to get a little sweaty. Moreover, the arms on this fleece are somewhat shorter and may undermine the ease of movement. Nonetheless, The North Face Osito 2 will give you the much-needed warmth while hiking in cold weather. It’s also a great choice if you’re looking for an affordable & warm around-town layer. If you’re looking for a breathable jacket that will help you move fast in the outdoors, the Outdoor Research Deviator Insulated Hoody would be a great choice. Winner of Backpacker magazine’s 2015 Editors’ Choice Award, this fleece jacket features Polartec® Alpha® insulation on the front torso and gridded fleece across its body for breathable warmth. In the arms and the back,the Deviator Insulated Hoody features lightweight fleece while the front is composed of a synthetic panel that’s covered by thin ripstop nylon. This combination results in a lightweight layer that is impressively breathable when you’re moving fast on the trail. It’s worth noting, however, that the Deviator may not provide the kind of warmth that you would need in very cold weather. It’s better suited as part of a layering clothing rather than as an outer layer to keep you warm and comfy. Moreover, the fleece jacket is cut somewhat tightly so you can’t wear much under it. However, you can easily wear other layers on top of it. Despite this small shortcoming, the Outdoor Research Deviator Insulated Hoody would be a top choice if you’re looking for something you can wear while being very active in cold weather. If you’re looking for a go-everywhere fleece jacket for women, which you can you use for anything, including around-town outwear and light outdoor activities, you should consider investing in the Patagonia Better Sweater. This jacket boasts a sweater-knit face and soft interior to keep you warm and comfortable. Moreover, it is elegant and comes in a variety of colours so you can get something that suits your specific taste. It also features a stand-up collar with zippered garage to ensure your chin feels comfortable. Many previous customers have claimed that the Better Sweater lets the wind in and ages faster than expected. Nonetheless, it is a great choice of fleece jacket for the price if you are to consider its versatility against other options. You can easily layer this jacket under a shell. It’ll serve you well when going to work in a cold morning as much as it would while you’re out on a skiing expedition. If you’re looking for a slim fit fleece jacket, however, it may not be a good choice for you. If you’re looking for something to wear as an insulating mid-layer in winter or as outerwear for cool, dry weather, the Marmot Flashpoint Fleece jacket will do just that without leaving a dent in your wallet. It is made of luxurious microfleece, making it less bulky while remaining warm. The fleece is also effective at managing moisture. You can easily use the Marmot Flashpoint as a warm outer layer, as it is roomy enough for base layers underneath. You can also wear it comfortably as a mid-layer under a ski or rain jacket. The Marmot Flashpoint offers some great features for its price. One notable feature is the thumb and arm pocket equipped with a media slot where you can keep your headphones. The jacket is quite thin and breathable, making it an excellent choice for wearing while active in low temperatures. But this fleece is not without some shortcomings. The Marmot Flashpoint may not deliver the kind of warmth you need in frigid weather. It also doesn’t have a hood, further taking away from its warmth. Nonetheless, the Flashpoint is, overall, an awesome lightweight fleece jacket that you can easily carry in your daypack for a sunny hiking expedition where you might encounter low temperatures as you approach a hill peak. 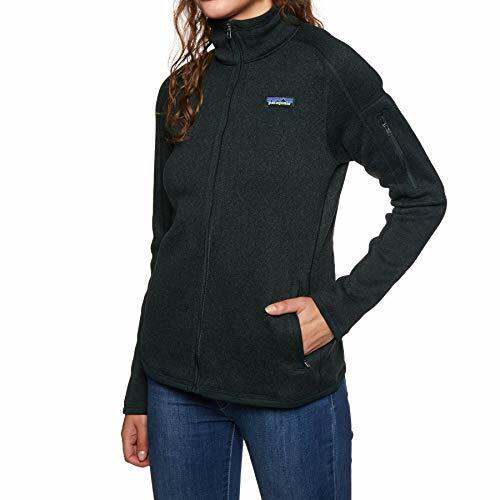 If you’re looking for a quintessential women’s fleece jacket for camping—or one that you can layer on and under while walking around town—the Patagonia Re-Tool Snap-T Pullover will suit the bill. This fleece jacket delivers impressive warmth and comfort while still maintaining some breathability. Thanks to the space provided by its boxy cut, you can comfortably wear a couple layers under the Snap-T Pullover. Moreover, this fleece fit snugly under a windbreaker or rain jacket. Another great feature in this jacket is durability. It doesn’t lose its softness easily even after numerous washes. It is worth noting, however, that the Snap-T Pullover may not be a good choice for intense activities. It’s not quite as breathable as most of its pricier counterparts. The cut of the jacket may also restrict movement during intense activity. Nonetheless, if you are looking for something to keep yourself warm after a day in mountains, the Patagonia Re-Tool Snap-T Pullover would be a fantastic option. Moreover, it’s available in at least 30 options, so you can easily find one that suits your needs the best. If you are looking for a fleece jacket that is both warm and breathable, and also offers easy layering and great ease of movement, you can’t go wrong with the Patagonia R1 Hoody. 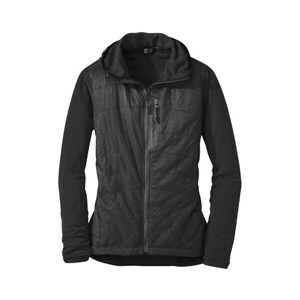 This jacket features lightweight, breathable Polartec® Power Grid fleece. The fleece is stretchy, compressible, and sturdy to keep you warm and comfortable. It would be difficult to find a better lightweight layering piece than the R1 Hoody to wear for various outdoor endeavours, from skiing to hiking in cold weather. This jacket is equipped with thumb loops, which ensure the sleeves stay in place. Moreover, the hood can zip into a balaclava for protecting your neck and lower face from the biting cold. You can also pull the same zipper down to your belly button to let in some cool air when it gets too hot. The gridded design also helps with venting. A notable shortcoming of the R1 hoody is that it’s not resistant to wind and water. That means you may need to pair it with a rain or wind shell if you want to use it in stormy weather. If you’re looking for something you can use as an urban outwear, the R1 Hoody isn’t an option either as it has nothing to write home about when it comes to elegance. Nonetheless, if you want something to use while undertaking an intense exercise in cold weather, you can rest assured that the R1 Hoody will keep you warm and regulate your body temperature to ensure you’re comfortable throughout.